Access the Joomla download page and download the latest version - full package. 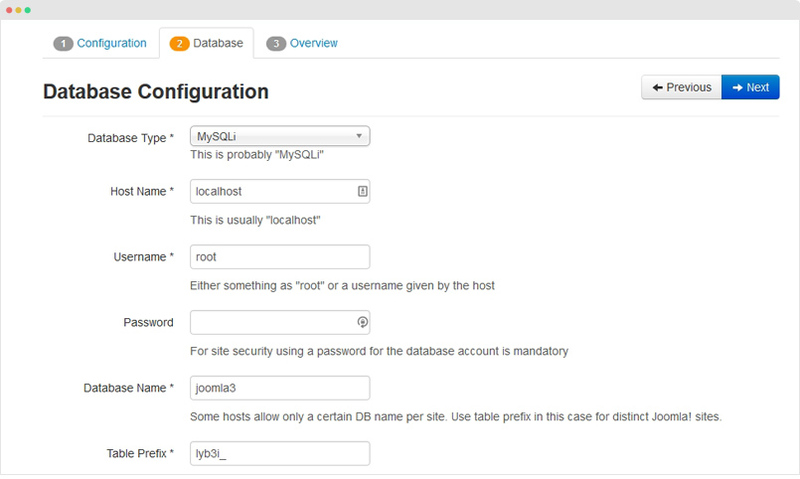 Step 2 - Configuration: access the site address and follow the installation Wizard. Step 4 - Sample data installation: select sample data to install, there are multiple sample data options, select "None" if you want to have fresh installation (without demo content). Step 5 - Multilingual setup (optional): You can install multilingual in the step. The installation is done, you can start updating content for your site. Templates is to help determine the layout, style or look and feel of a site. Check out list of wide range topics Joomla templates. From your back-end setting panel, go to: "Extensions → Extension Manager", browse template installation file then hit the "Upload and Install"
Go to: "Extensions → Template Manager", set the template style as your default template style. 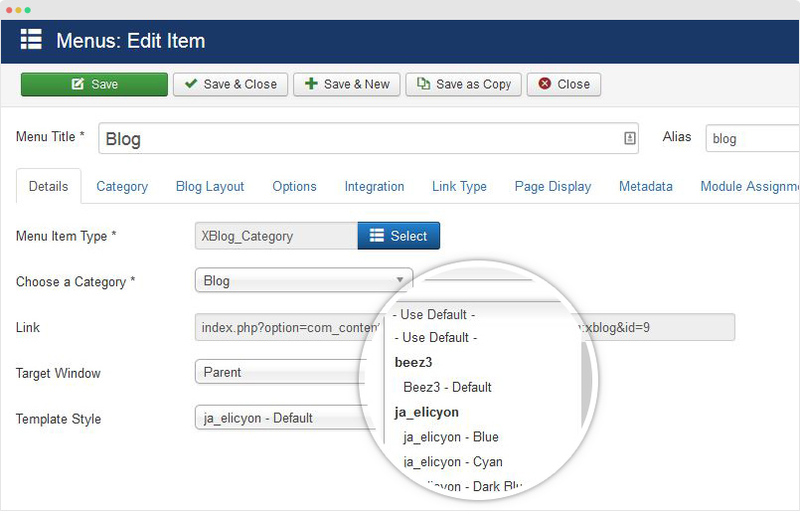 Template style is a feature introduced in Joomla 2.5 that allows users to assign different template styles to individual menu items. By default, Joomla! assigns a template style to all menu items upon installation. A yellow star indicates the default template style in use. 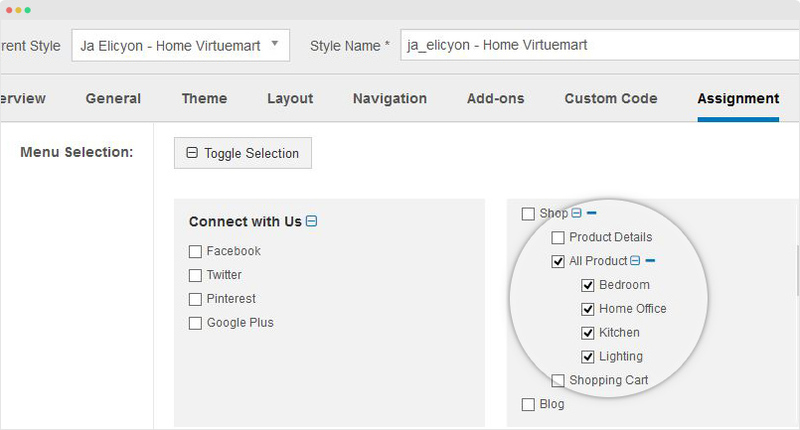 A default template style can be partially or completely overridden by assigning different template styles to the desired menu items in order to obtain a different look for their respective pages. A template style can be assigned to menu items one of two ways. #1. Template manager Extensions → Template Manager, open setting panel of the template style, in the Assignment tab, select menu items you want to apply the template style for. Joomla installation process is the same with Joomla template installation. From your site back-end, go to: Extension > Extension Manager, there are multiple options to install an extension. With the option, you will need the installation file of the extension downloaded to your PC, browse .zip file of the extension then hit the button "Upload & Install". Add path of the extension installation file in your PC and install. Add direct download link of the extension and install (the direct download link does not require permission to download). 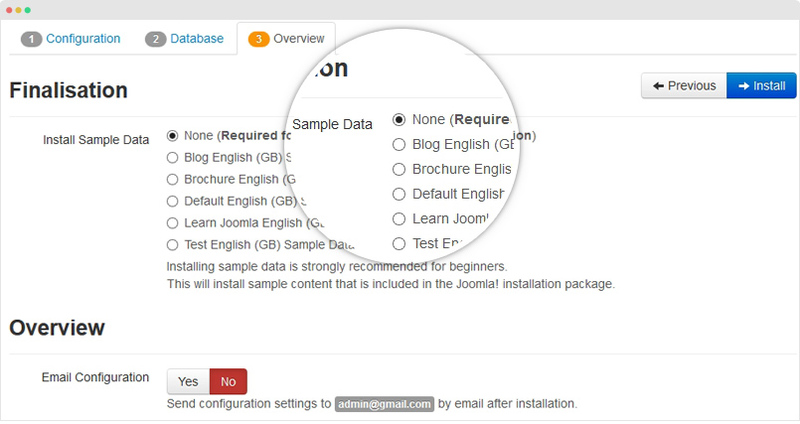 Joomla has 5 extension types: Template, Component, Module, Plugin and Language. The installation process is all the same. Please always make a back-up before proceeding to any of the Update process. In case there is any problem, you can always restore from the back-up files. Once there is new version, you will see notification of the new version. To update new version, go to: Components >> Joomla Update, select Installation method then do upgarde. Each extension could have different update process depending on the extension developer. Some extension provide the update ability via the extension configuration. You should always check the update documentation of the extension to make sure the process is correct.